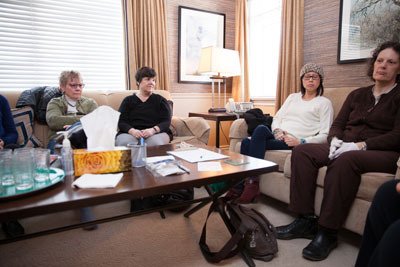 This eight-week professionally-led support group provides cancer patients with the opportunity to meet and talk with other cancer patients for emotional and coping support. Sessions focus on discussion and sharing of feelings, stories, issues and concerns related to cancer. Through this means, patients may find comfort, reduce feelings of isolation, and may improve their ability to cope, communicate and live with cancer.